Beautifully maintained and updated home you will love immediately!! Enjoy the security and privacy of the brick fence with nice size yard, perfect for kids and pets and entertaining friends and family. This home is all about charm from the moment you pull in the driveway. 2 car garage with 2 large double storage closets, 2 separate outdoor patios you just have to see for yourself plus a sunroom. Charming family room has a cozy corner brick fireplace and laminate flooring. Lots of windows throughout. Updated kitchen with granite counters and 2 pantries. Master bedroom has a separate 11×9 sitting area and updated bathroom. New roof to be installed before closing. Great looking community with schools and shopping nearby. Home did not flood. Offer Accepted. Open Houses are Cancelled. 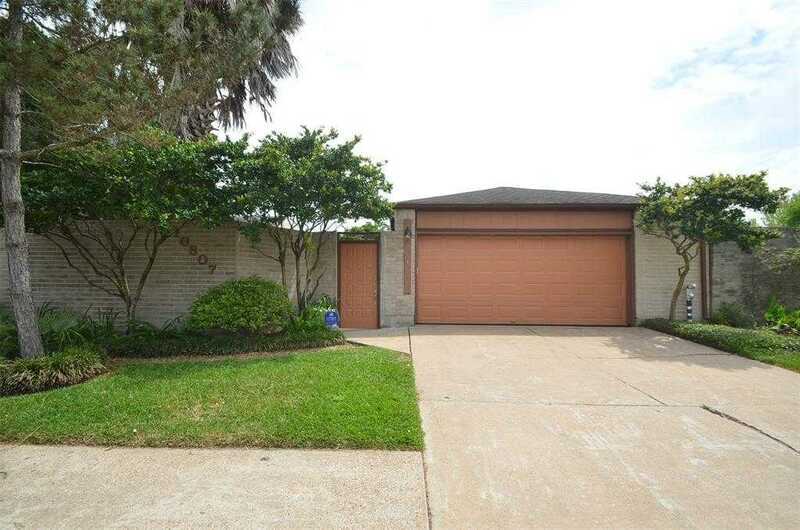 Please, send me more information on this property: MLS# 56241816 – $145,000 – 10807 Sashay Drive, Houston, TX 77099. I would like to schedule a showing appointment for this property: MLS# 56241816 – $145,000 – 10807 Sashay Drive, Houston, TX 77099. Data courtesy of HAR MLS. Last Updated April 25, 2019.